On 17 October 2014 Collective Efforts for Voluntary Action (CEVA) started the financial literacy programme from the Sach Panchayat. 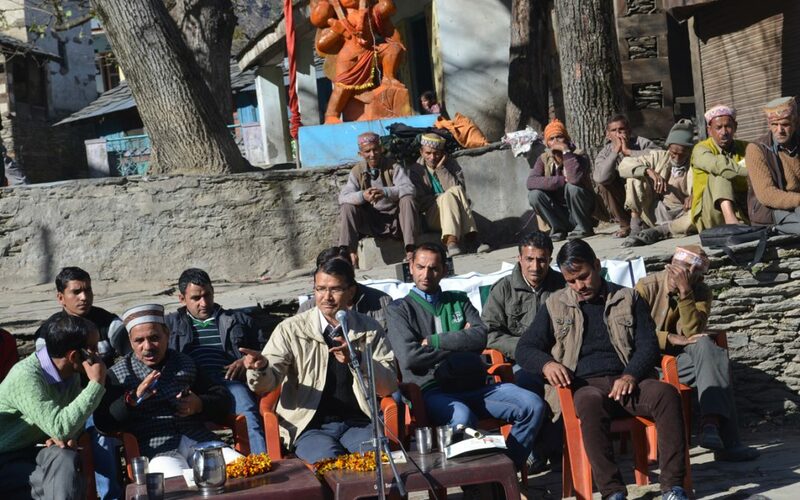 All team members had reached in the panchayat one day before the programme. First day panchayat meeting had conducted with all PRIs members, executive members of the Mahila Mandal, Self Help Groups and Yuvak Mandal etc. Another day of the programme team members demonstrated the financial inclusion through Nukkad Natak in Sach Panchayat. It was around 20 to 25 minutes play in local dialect pangwali and Gaddi. People were very excited of watching the play and get benefited with such activities. During the play all important aspects of financial inclusion has been covered by the team. Mr. Anup explained about the programmes and schemes of the bank. After the completion financial literacy program in Pangi block entire team of the CEVA reached on 13th November 2014 in Bharmour. On the same day team members and officials of the CEVA met with ADM and BDO Bharmour and shared the concept of financial inclusion and Pradhan Mantri Jan-dhan Yojana. They also informed t hat Collective Efforts for Voluntary Action (CEVA) a nonprofit organization visiting to all 29 Panchayats of Bharmour block and will demonstrate through Nukkad Natak. Furthermore the team members have been collected the relevant information regarding the gram panchayats and contact number of the all PRIs members and Mahila Mandal from the BDO office Bharmour.